I’ve decided to try something new on this blog. The whole point of this blog was for me to explore things I’m interested in and talk about them. So far I’ve managed to post once a week for a few weeks in a row and I’m honestly just not enjoying it. I’m not having fun with. On my other blog, even when sometimes I don’t want to sit down and write a blog post, it’s still fun. I still enjoy what I’m talking about. So, I don’t know what I’m going to talk about here. The posts may be about everything and nothing. They may be several paragraphs or only a few words. But I just want to have fun with it. I want to talk about things I like. So today I’m going to be doing exactly that. 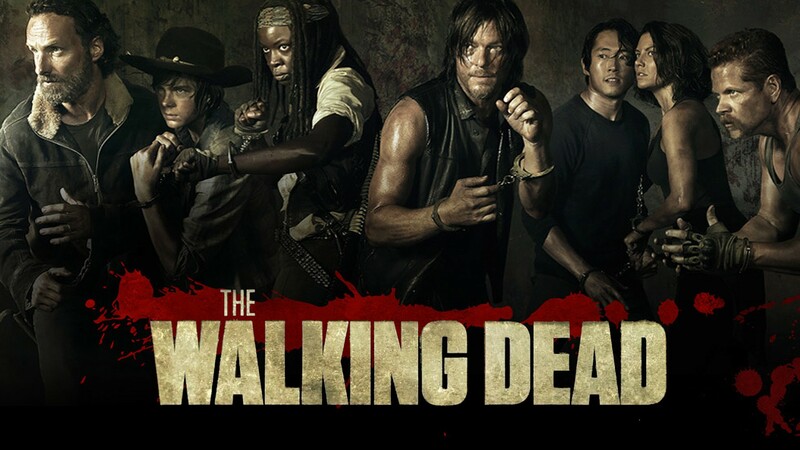 Today I’m going to be reviewing last night’s episode of The Walking Dead. Now, I love The Walking Dead. I only actually started watching the show while Season 4B was on and I just recently started reading the comics. But it has easily become one of my favourite shows on TV right now and is the only show I actually watch when it’s on and will sit through commercials for. Last name’s episode, titled “Forget”, was crazy and had so much foreshadowing and character development. There wasn’t a ton of violence or blood and guts. There was definitely some, thanks to Daryl and Aaron, but that wasn’t the focal point of the episode. The point of this episode was to explore the characters and how they are – or aren’t – adjusting to life in Alexandria. I really have to say that Melissa McBride is such an amazing actress. Her character has developed so much over the seasons and she’s gone from playing a woman who wants to protect every child she sees to threatening them with walkers and cookies. We also saw Michonne hang up her katana, quite literally in fact, when she hung it on the wall. I feel like this was such a significant moment because on one hand, she’s hanging up her weapon. This object that has become like another limb since the world fell apart, she is putting it aside and saying “Okay, let’s try this new world.” But then on the other hand, it’s on the wall. 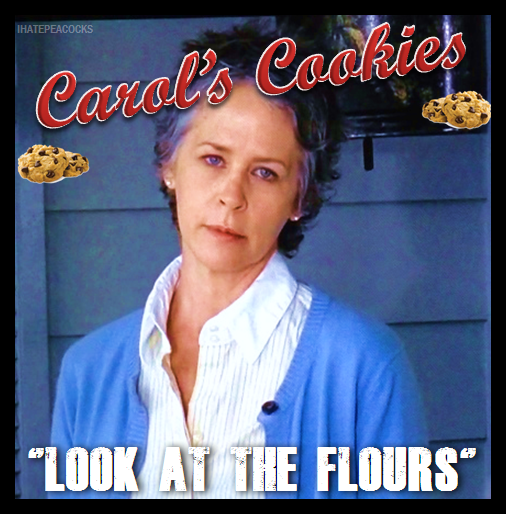 They said it on Talking Dead, it’s not like she got rid of it. It’s still there, she’s still ready for if things at Alexandria go wrong. We also saw some serious development in Sasha in “Forget”. She’s really had it rough lately. First Bob then Tyreese, she just can’t catch a break and it really shows in this episode. While it isn’t said out loud, Sasha seems to be suffering from PTSD or something along those lines. She just can’t get used to being safe and can’t deal with the fact that the Alexandrians worry about such menial things like making people’s favourite foods after she’s seen people become someone’s favourite food. We all know Sasha is strong and able to hold her own, so I really like that the writers have shown that even the strongest characters can fall apart when presented with situations like this. 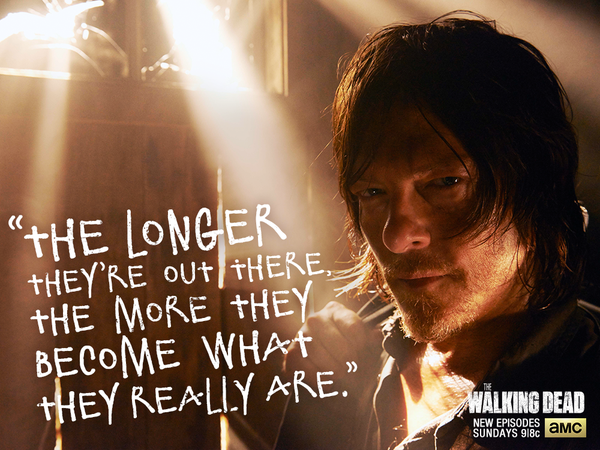 Last but not least is Daryl. “Forget” was a huge episode for him. The creators of The Walking Dead have said several times that the back half of season five would be hard for Daryl after losing Beth in “Coda” and we’ve definitely seen him withdrawing and cutting himself off from the others. Well, in last night’s episode we saw a big change. He tried to help Aaron save a horse (RIP Buttons) and then after returning to Alexandria he actually joined Aaron and Eric for dinner at which point Aaron offers him a motorbike and the chance to work as recruiter, which Daryl accepts. I felt like this was so significant for his character because he’s actually taking chances and trying to give Alexandria and his people a chance. Furthermore, he refused to take one of the guns Carol had stolen, stating that he was trying, just like she’d asked him to. Near the end of the episode, Rick, Daryl, and Carol return from a meeting out in the woods and they walk off in different directions. On top of everything that happened in this episode, that moment for me was just so significant and stood out from everything else. These three characters who, at the end of last week’s episode, stood united and ready to take Alexandria if necessary. Now they’re going in different directions, they have different plans and thoughts. ‘m definitely interested to see what is going to become of their characters and the interactions between the three in the last three episodes. Overall I actually think this episode may have been one of my favourites so far and I can’t wait for the rest of this season. I also don’t want this season to end because I don’t want to have to wait for season six. However, in that time I’m planning to finish the comics. Thanks so much for reading my review of “Forget”! Another review will be up next week. Let me know if there’s anything you’d like to see. Should the review be shorter? Longer? More opinion or predictions? I’ve never reviewed a episode of a television show before so this is whole new territory for me. If you have any pointers I’ll be eternally grateful.